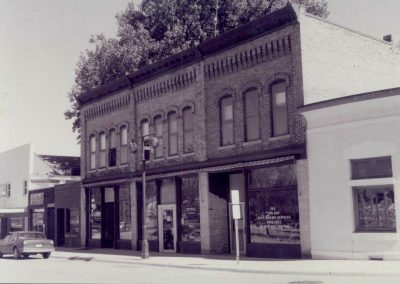 The area on the west bank of the Cannon River where the Ebel Block is located was once a thriving commercial district that contained dozens of stores and service businesses. But when automobile travel replaced passenger train travel in the 1950s, planners rerouted the highway so it paralleled the train tracks. More than thirty buildings on the west side were demolished to make way for it. The Ebel Block and its distinctive next-door neighbor, the State Bank, were spared. The Ebel Block is a wonderful example of turn-of-the-century commercial architecture. The yellow brick building was named for William Ebel, who moved to Northfield at age 12, shortly after the Civil War ended. In 1876, the year the James-Younger Gang tried to rob the First National Bank, the 21-year-old Ebel opened a grocery and provisions store. In 1894, he built the first two sections of what became the Ebel Block, replacing the wood-framed building that had stood on the site since the 1860s. A hardware store moved into the north section, and Ebel moved his general merchandise store into the other one. In 1907, he purchased the wooden building to the south, built a third section, and expanded his business once more. The tall storefronts, with their large windows, let natural light deep into the store and let the public see the variety of goods available inside. The upstairs, occupied by another business or apartments, required tall individual windows, and these balanced the storefronts. Ebel operated his store for sixty-five years, earning high praise as a businessman. He also served as a member and chair of the Rice County Board of Commissioners and as a member of the Northfield City Council. 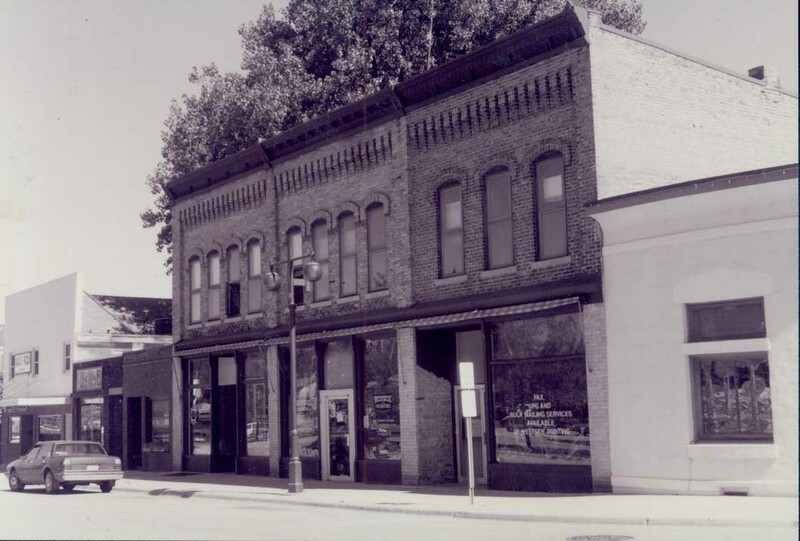 Following Ebel’s retirement in 1941 at age 86, a series of commercial businesses occupied the building, including the Anderson Furniture Store, a dry cleaners, a funeral parlor, an early television store, and a Montgomery Ward store. David Hvistendahl purchased the Ebel Block building in 1998, and it now houses Froggy Bottoms River Pub and Suites and offices of the law firm of Hvistendahl, Moersch, Dorsey & Hahn. The Ebel Block is a wonderful example of turn-of-the-century commerical architecture. 1980.